Painting at the Lavender Fest on the North Shore of Lake Erie near Colchester. Month long Windsor & Essex County Group exhibtion at the Gibson Gallery in Amherstburg. I spent two blissful days on Pelee Island, but now it’s time for me to buckle down and let everyone know what’s happening in the near future. June has already been a busy month, but there is still more to come. 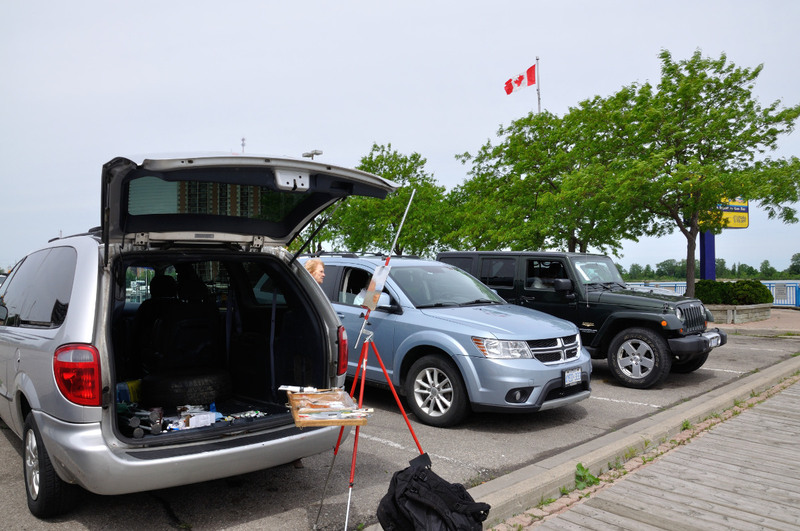 July kicks off many events in Windsor and Essex County. There are festivals everywhere. 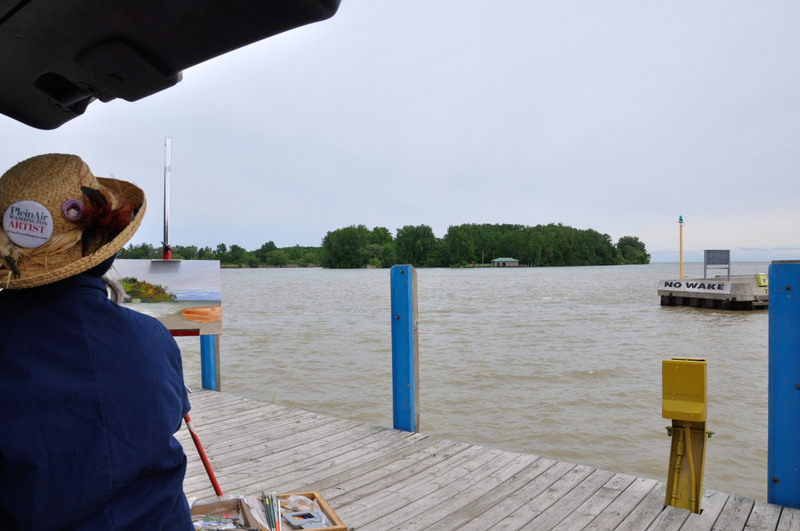 Amherstburg hosts many summer events. 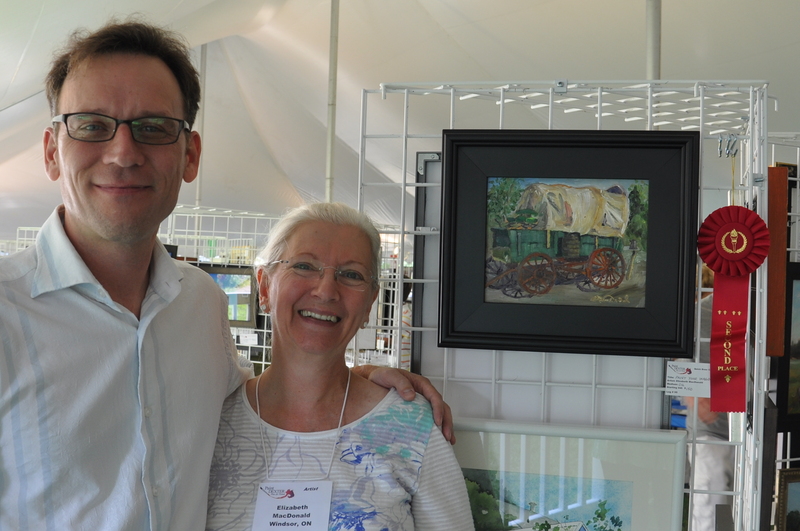 My group, The Windsor & Essex County Plein Air Artists, will be part of Amherstburg summer activities. The Gibson Gallery in Amherstburg, Ontario will host our member’s exhibition during the Month of July. One of Windsor’s best events is the Walkerville Art Walk & Rock street festival. The streets are closed and Walkerville businesses open their doors and host the work of area artists. You can dine at one of the many great restaurants, or sit and listen to tribute bands as you sip wine and nibble on hors-d’œuvre on the patios. Last but definitely not least, I’m doing it! For many years I’ve arranged group shows, and never had time for my own solo show. Well this is the year I finally get out there and present my work at the Artspeak Gallery. Do come out and see what I’ve been up to this past year. at the Gibson Gallery in Amherstburg. July 7th to August 1st. Two Day Reception during the festival Walkerville Art Walk & Rock July 24th & 25th. It’s hard to believe that summer begins today! The weather this June is more like April, wet and at times down right cold. I’ve been painting up a storm! Hmm… I wonder if that has anything to do with our weather lately?! Please enjoy my latest three paintings with their locations. Turn up the Heat! Pretty Please? 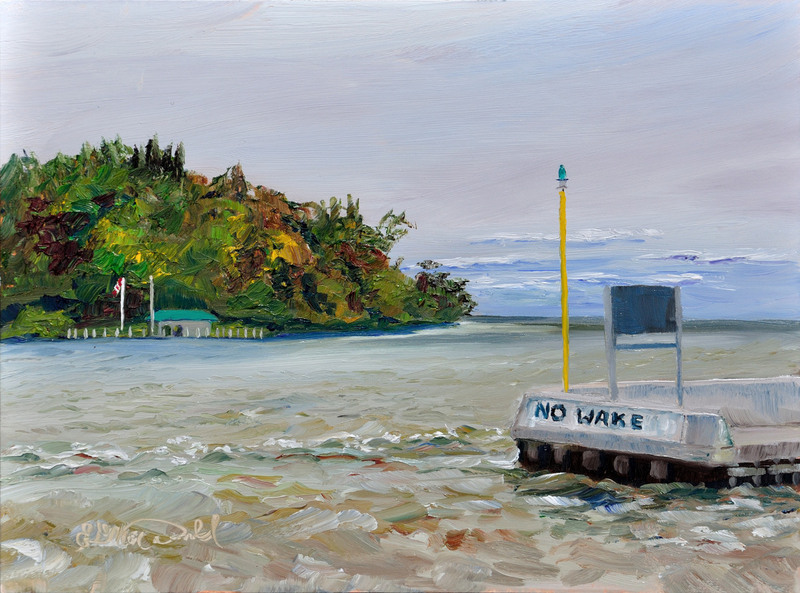 No Wake, Plein Air 9 x 12 oil on Ampersand Gessobord $350. framed SOLD in less then 24 hours! Ok, it’s JUNE 1st! WHY do we have 15 MPH winds, and 53oF weather? Monday is painting day, and come hell or high water I go painting. Today, I dressed for winter. I wore leggings under my jeans, a sleeveless T shirt, turtleneck sweater, winter jacket, and a shop coat! I found a winter toque in the van and put that on under my straw hat. I did bring gloves and I wish I had worn them. By the end of the day my hands were so stiff I could not hold my brush. I may have looked ridiculous, but I was warm, except for my hands that is. In spite of the horrid weather it was a good day. Good friends, curious wildlife, many curious onlookers, and I did get a decent painting completed. 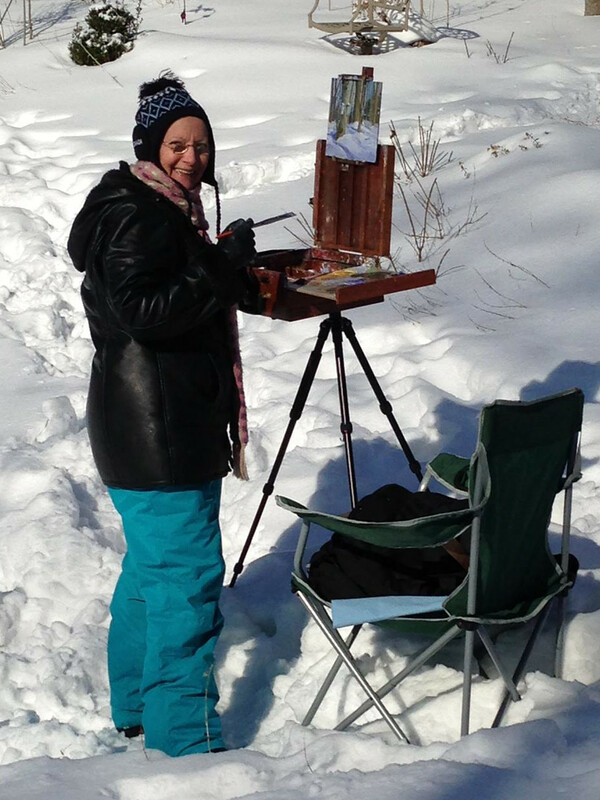 Artists working in their cars to keep warm. I worked off the back of my van. Too bad the wind was in my face. Horizontal flag tells the story. I had to weigh my easel down with my backpack to keep it from blowing over. Bundled up to keep warm. Layers upon layers of clothing. My duck friend was even fluffed up from the cold. This swan family with cygnets in tow, headed out of the safety of the harbour into the Detroit River. They were soon swept down river with the wind and the swift current. I hope they made it safe harbour.